Modern geometric pendant with rubbed oil bronze finish. Perfect focal point for any space. Matching canopy included. The E26 bulb base gives you a very broad choice in bulb styles to choose from. 11-inch Bronze and Marbled Flushmount Fixture Classic melon glass shade for a traditional contemporary look. Full coverage flushmount easily hides existing ceiling flushmount opening. Suitable for damp locations making fixture a perfect fit for bath, kitchen, and service porch areas. 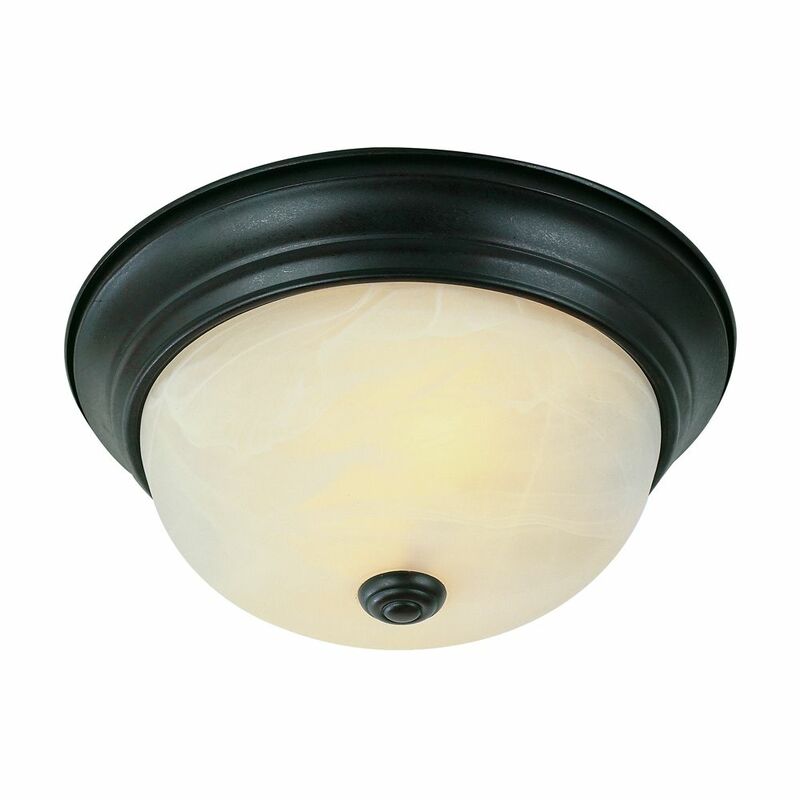 11-inch Bronze and Marbled Flushmount Fixture is rated 4.0 out of 5 by 1. Rated 4 out of 5 by Tigercruiser from Ceiling Light Nice looking ceiling light. Reasonably priced and yet looks good.